WhatIfSports.com predicts the second round of the NHL Playoffs. 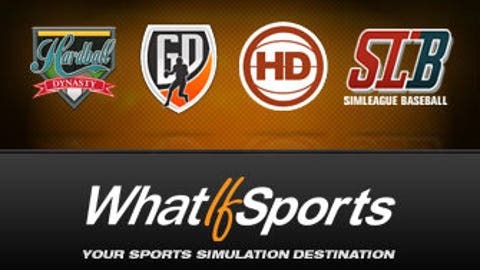 WhatIfSports.com’s NHL predictions have been less than stellar thus far. We successfully picked the Capitals, Lightning and Stars to advance, but missed on the Penguins, Islanders, Blues, Sharks and Predators, a testament to how difficult the NHL Playoffs are to predict. Undeterred, we’re moving on to Round 2. We played each matchup 1,001 times using our NHL simulation engine to determine which team has the upper hand. The Capitals, our pre-playoff pick to win the Stanley Cup, are heavy favorites over Pittsburgh in the second round. Washington won 66.3 percent of simulations, outscoring the Penguins by an average of 2.6-1.8. 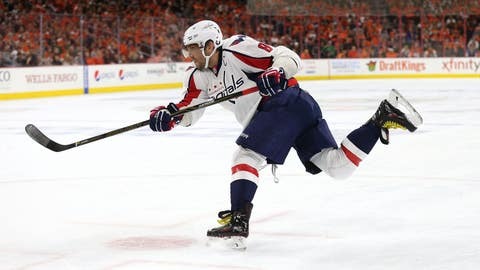 In 1,001 simulations of the entire playoffs before the postseason began, the Capitals won the Cup 35.5 percent of the time, while the Penguins won just 1.0 percent of the time. The predictions don’t get much closer than Islanders vs. Lightning. Tampa Bay won 51.0 percent of head-to-head matchups, edging New York in goals by an average margin of 0.1. The trend holds with pre-playoff predictions, when the Lightning were given a 4.9 percent chance to win the Stanley Cup, compared to a 0.7 percent chance for the Islanders. In the Dallas vs. St. Louis series, our NHL prediction engine gives the nod to the Stars, with the team winning 55.9 percent of simulations by an average score of 2.7-2.4. Our original predictions gave Dallas a 12.2 percent chance of reaching the Stanley Cup Final and 2.8 percent odds to win the Cup. St. Louis had just a 3.4 percent chance to play in the Stanley Cup Final and a 0.3 percent chance to win it all. Finally, the pick for San Jose vs. Nashville is the Sharks. San Jose won 63.4 percent of simulations, beating Nashville by an average score of 2.9-2.2. The Sharks were given the seventh-best odds to hoist the cup, doing so in 4.6 percent of playoff simulations. The Predators’ odds were much slimmer at just 0.1 percent.